What is the name of your organisation? Castlemaine Library, part of the Goldfields Libraries. 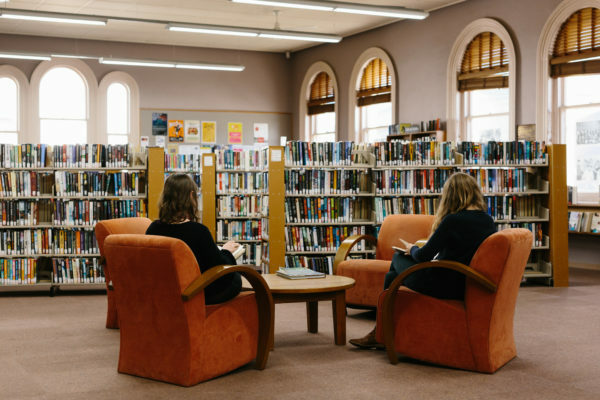 Tell us a little about Castlemaine Library? Castlemaine Library has something to offer everyone in our community, from free wifi and public access to internet computers, to early literacy sessions for pre-school children 3 times a week. We run regular literary programs, one-on-one IT and Family History help sessions, and a new kids book club! Our regular school holiday program is always a hit, and there are lots of resources on our website for library members too. Where are you based and how do people access the library? Castlemaine Library is at 212 Barker St, with entry via Mechanics Lane. We are open Monday – Saturday, and a Library membership is free. Our online library is accessible 24/7, where you can borrow books, download audio books and music, read a magazine or newspaper, browse the catalogue and much more. What type of people typically get involved with the Castlemaine Library? Everyone! The Library is a real hub in our community, well utilised by students, families, older people – everyone from 0-110 years! School kids gather in droves after school to hang out, do homework, and use the free wifi. Older people meet weekly for craft and Scrabble groups. Almost 100 families attend one of our 3 story time sessions each week. Book clubs meet here, as do writing groups and poetry groups. Hundreds of people attend our literary talks, digital literacy sessions and other workshops each month – there are a raft of programs that seek to meet many different interests. Could being involved with the Castlemaine Library assist someone who is struggling with their mental health? In what ways? The Library is a safe, inviting, and comfortable place to seek quiet reflection away from the busyness of life. We are open long hours, and we are warm and dry. We are a ‘third space’, away from home and work / school. We are unbiased and non-judgemental and offer the same high standard of service to anyone in our community regardless of race, religion, age, gender or social status. We have friendly staff who are willing to help, and we have lots of books and resources on mental health and well being to borrow, all for free. Tell us a little about your practice? I’m a Naturopath who’s been in practice for over ten years assisting people to feel well and overcome a broad range of illnesses. I use dietary and lifestyle advice, nutritional medicine and herbal medicine to help people achieve their health goals. Where are you based and how do people access you? I work from Healing Well in Castlemaine and from my home in Elphinstone. People can call me or email me directly to make an appointment or enquiry. The initial consultation is $90 ($80 concession) and subsequent consultations are $55/$50 each. 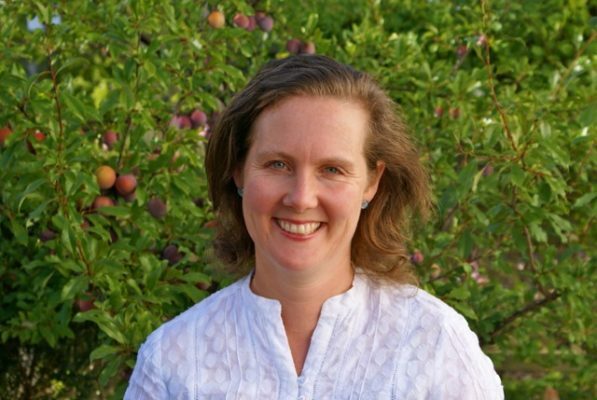 Who comes to see a Naturopathic practitioner? My practice is open to everyone and I see all ages, anyone who would like to improve their health as naturally as possible. Could Naturopathy assist someone who is struggling with their mental health, or experiencing high stress or distress? In what ways? Naturopathy can improve mental health in a number of ways. Recent research has shown gut health to have a big impact on mood. There are more serotonin receptors in the gut than the brain so a healthy gut supports a healthy mind. Naturopathy also helps the nervous system and brain chemical imbalances including inflammation, which can also have a big impact on mental health. How can people learn more about Naturopathy? The Australian Natural Therapist Association has a good description of many natural therapies including Naturopathy. People are welcome to contact me with any enquiries. I also have a newsletter that people can sign up to from my website. In the lead up to our launch event, members of the ELM Network featured in an article in the Bendigo Advertiser, encouraging people to come along to the event and to reach out and connect with their community. Read the full article here. Suicide is an issue of concern in the Mount Alexander Shire. It requires a proactive, whole-of-community response. We would like to see suicide addressed in the 2017-2021 Council Plan. Read the two articles in full here and here.